For those who may not be familiar with the Riley Trail, it was a tour of historic locations in and around Indianapolis. 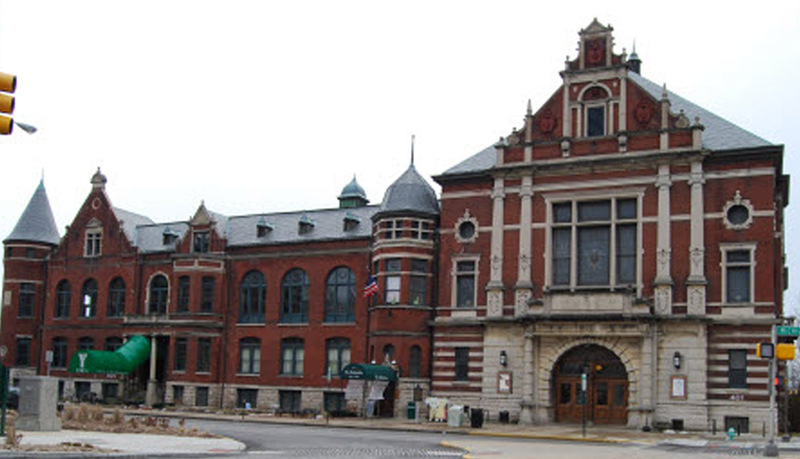 It was conceived of by a librarian at the Indiana State Library named Nellie Mae Coats (1888-1977). Nellie was born near Battle Ground in Tippecanoe County. She received a B.S. from Purdue University and an M.S. from the University of Illinois. Over the years, Nellie served in various positions at the Indiana State Library, including chief cataloguer. 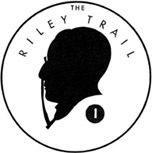 The inaugural Riley Trail tour was organized in 1958. The tour was dedicated to Hoosier poet and author, James Whitcomb Riley. Although named for Riley, not all of the stops on the tour had direct connections to Riley himself. The earliest brochure in the collection at the Indiana State Library is dated 1958, and the latest brochure is dated 1971. Thanks go to librarian Monique Howell at the Indiana State Library for making the brochures available to me. There were 27 locations on the 1958 tour and 73 on the 1971 tour. Nellie Coats led the tours herself in the early years and trained volunteers to continue as guides after her retirement. Eventually, the tours became self-guided exercises. It’s possible that additional tour brochures were published later than 1971, but I was unable to find any after that year. 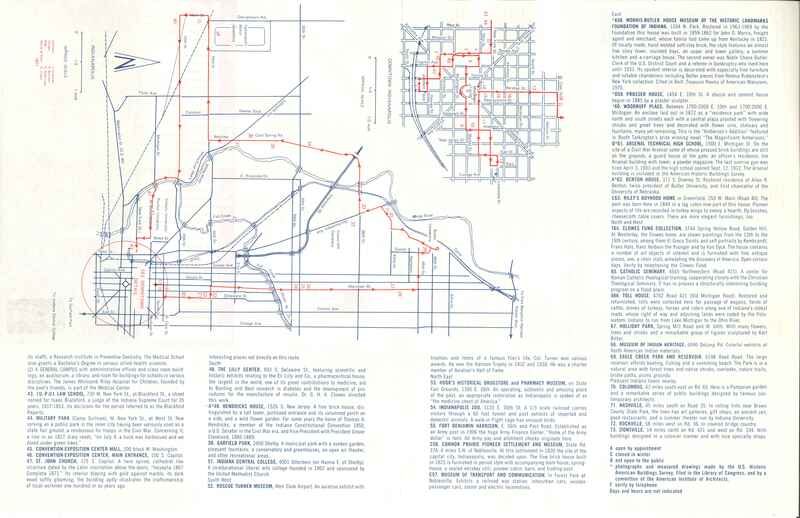 The 1971 brochure states that the guide was published by Greater Indianapolis Information, Inc., an entity that no longer exists. The brochures were distributed by the Indianapolis Chamber of Commerce and sponsored by Lilly Endowment, Inc.
Each landmark on the tour was marked by a plaque bearing Riley’s profile. The number on the plaque corresponded to the number on the tour map. I am not aware of any remaining Riley Trail plaques in the community. If anyone reading this piece knows of any marker that still exists, please share the location(s) with other HI readers. 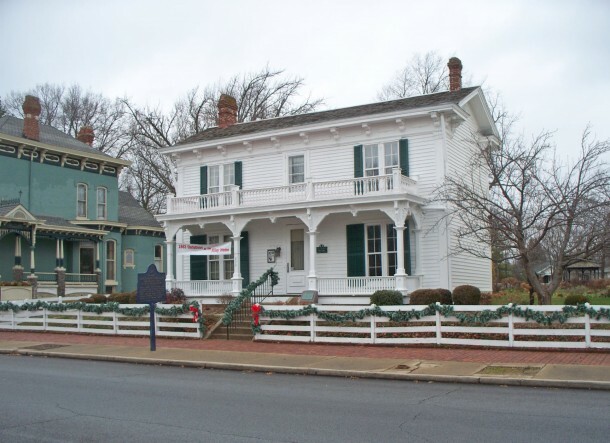 Riley-related sites along the Riley Trail included such landmarks as Riley’s birthplace on US 40 (originally called “The National Road“) in Greenfield, Indiana, and the home in which Riley resided in the final years of his life in the Lockerbie Square Historic District. The writer of the question referred to the Kile Oak as one of the stops on the Riley Trail. I did not find it listed in the brochures available at the Indiana State Library, but this living landmark may have appeared on a tour in some other year. 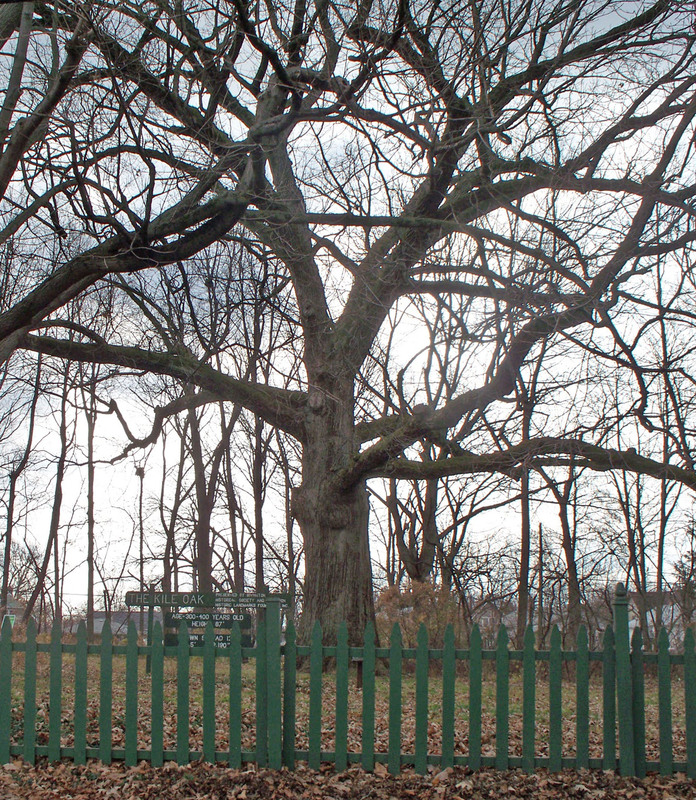 The Kile Oak is located at 5939 Beechwood Avenue in Irvington. Nearly 100 feet tall, it’s estimated to be between 300 and 400 years old. The tree is a Bur Oak (Quercus macrocarpa). 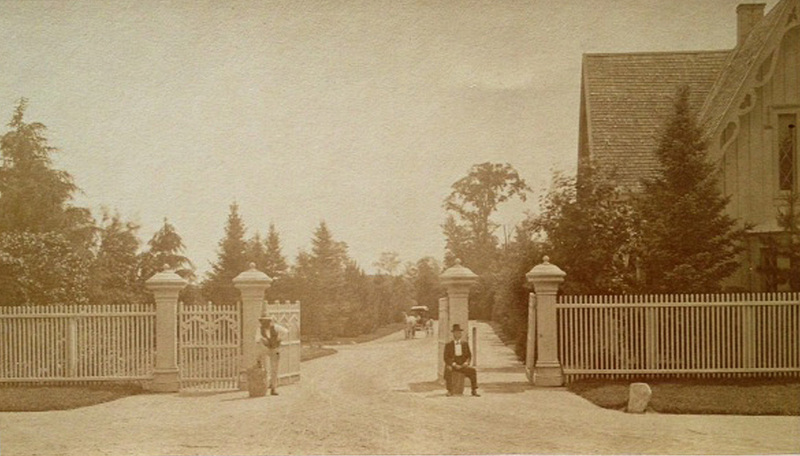 The tree’s appellation is derived from Reverend Oliver Kile, who built a home on the property in 1901. The tree and the habitat garden around it are now owned by the Irvington Historic Landmarks Foundation and maintained by the Irvington Garden Club. Since a complete list of Riley Trail landmarks and their addresses would be a long one, I will not detail them all here. 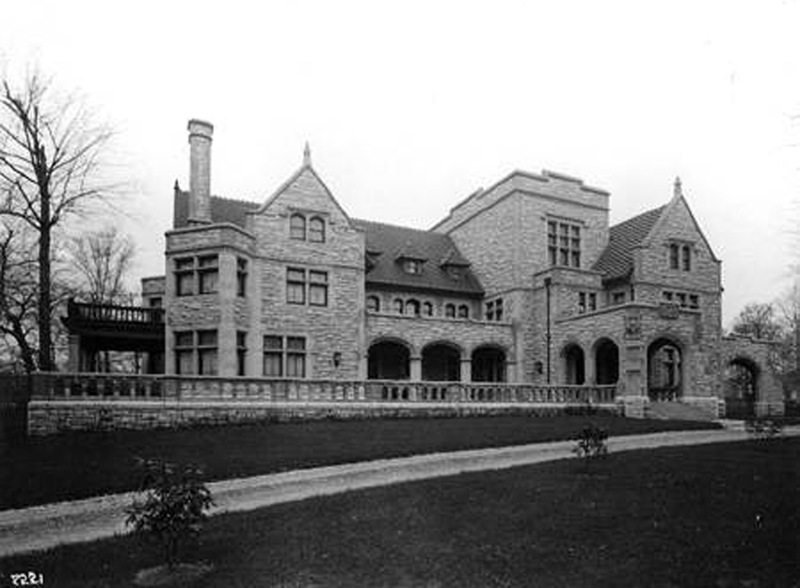 Some of those that were on the very first tour were the Indiana State Capitol, Soldiers and Sailors Monument, Scottish Rite Cathedral, Benjamin Harrison Memorial Home, Charles Warren Fairbanks Home, Marian College, Veterans Hospital, the Carmelite Monastery, and the Indianapolis Motor Speedway. If anyone would like a list, let me know in the Comments section below. I would be happy to provide you with photocopies of the 1958 and 1971 tour brochures. You can also view the actual tour brochures yourself on the second floor of the Indiana State Library at 315 W. Ohio Street. Wish to follow this one and others like it; from an “old East Sider”! Most interesting and excellent research by Sharon. Very interesting article, Sharon. I always enjoy your articles about Indianapolis history. While I remember the homes, I did not know anything about the Kile Oak. There are times when words just can’t describe something so magnificent. Still miss living in Indianapolis after all of these years and look forward to my family visits. Excited about reading these entries and planning for my next trip home! Keep up the good work! 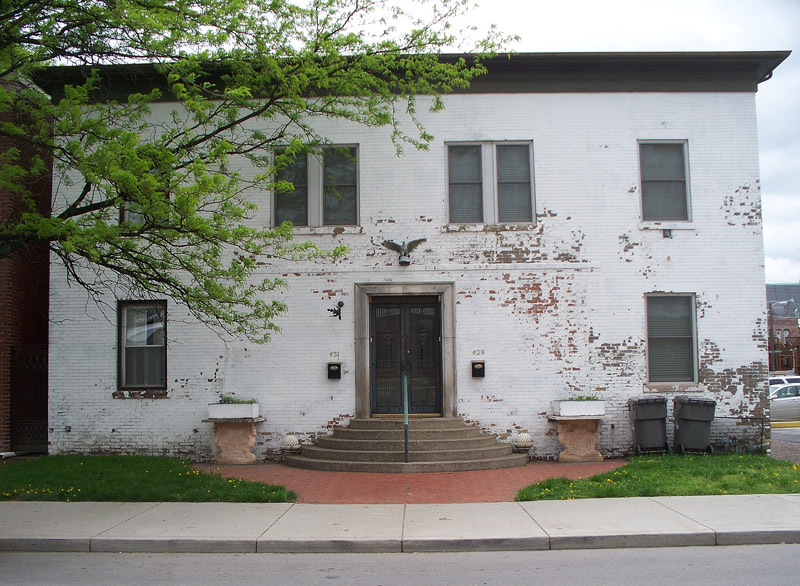 Sharon – great article and love anything about historic Indy. Thanks for sharing your deep knowledge of and love for Indy. 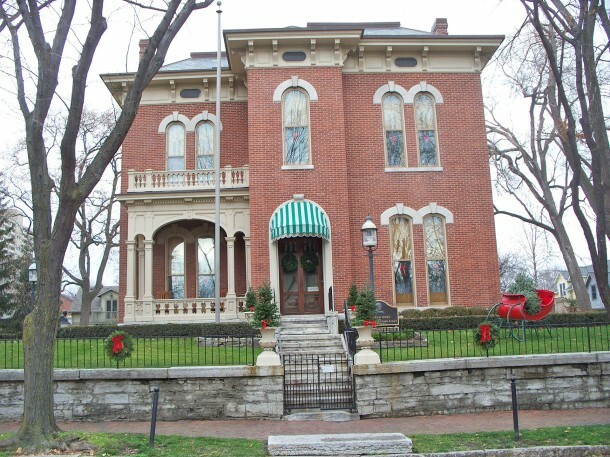 I work at the James Whitcomb Riley Boyhood Home in Greenfield, and I am also the President of the Hancock County Historical Society. I can tell you that YES, there is one Riley Trail Sign that is still up – at least it was a still there 3 years ago. I received a request for info on it – along with a picture from a local person with an inquiry. It is located over near the Indianapolis Museum of Art. I can send you a copy if you want. There was also a second Riley Trail. This one was a walking trail that was all within Hancock County, and it hit many of the Riley historical spots within the county. It stretched from the Riley Home in Greenfield, north to the town of Maxwell, and back down to the Riley Park area. This was an Eagle Scout project by a young man by the name of Larry Targett In the 1970’s. It had a map, and scouts were awarded medals upon completion of the trail. This trail is no longer in use because of being near or on private property and having to cross under I-70. 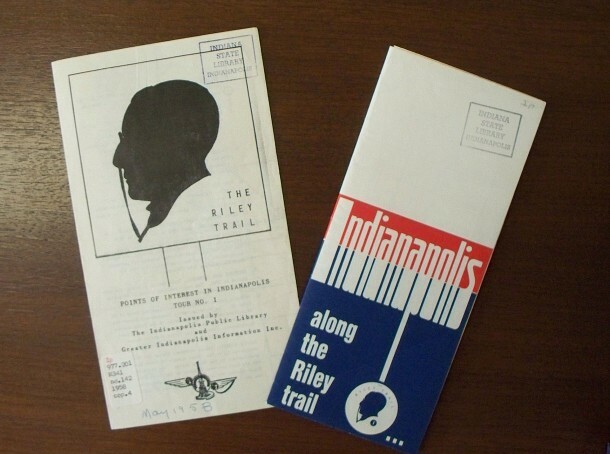 I would love a copy of the info about the Indy Riley trail – so I could answer questions about it knowledgeably. Thank you for commenting here, and thank you for your participation in organizations that help to preserve our history. Yes, I would like to see the inquiry about the Riley Trail marker that is (or that was) near the IMA. Let me know by what means you prefer to send it (e-mail attachment, fax machine, or USPS), and I will send you my personal contact information. Thanks also for informing us about the second Riley Trail. What a great Scouting project. It’s too bad use of it had to be discontinued. Since the group that created the Riley Trail no longer exists, the Riley Trail brochures are probably the best source of info about it. I viewed the brochures at the Indiana State Library. 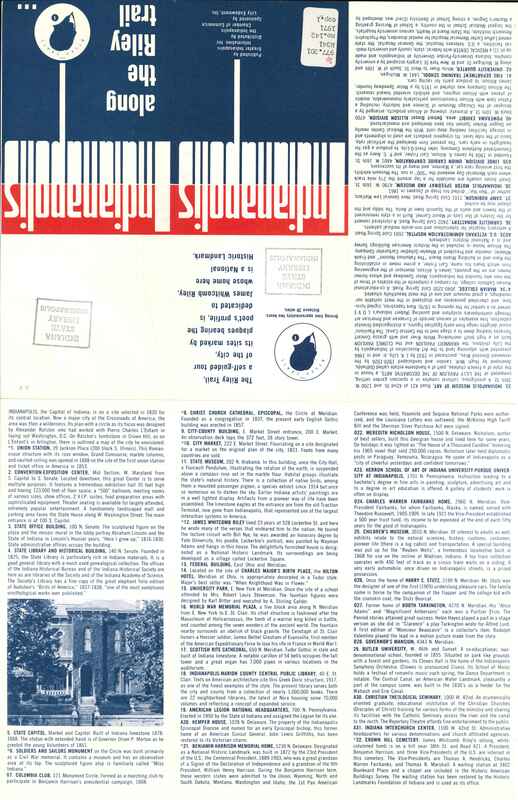 As mentioned in the article, the earliest brochure was dated 1958, and the latest brochure was dated 1971. I would think you could go to the library and copy them, or you could contact librarian Monique Howell at 317-232-3670 about copying them for you. I saw this article when it first ran, and it helped answer a mystery. At the James Whitcomb Riley Boyhood Home where I work, we had received a request for information on the Riley Trail. The requestor submitted a photo of a Riley Trail marker that was still in existence near the Indianapolis Museum of Art. With the info here, I was able to answer the requestor’s question. So thank you very much. However there IS a second Riley Trail that was created in the early 70′s that ran entirely through Hancock County. This was an Eagle Scout project by a Greenfield resident, Larry Targett, in the early 70′s. The trail was several miles in length. It was a walking trail that included some of the historic landmarks in Hancock County. Larry made marker signs, and the Hancock County Historical Society administered the trail. Scouts who completed walking the trail received a brass medal upon completion. Today the trail is gone. For the most part, this is because the Riley trail in Hancock County depended upon getting permission from land owners to allow passage through their private property. As property owners changed, this became a problem. Furthermore, there was no money set aside to maintain the trail – to replace broken or missing signs, and for upkeep. Fortunately, the Riley Boyhood Home has received a donation of some Riley Trail pieces from Larry’s parents – including maps, clippings, a medal and some signage. Unfortunately, Larry passed away a few years ago. You mentioned being able to provide a complete listing of the sites along the Riley Trail. I’m very interested in getting such a list because back in the day, eons ago, I had a copy of the original 1971 brochure and had walked it in the mid-70’s. I would love to see how things have changed since then but lost the brochure in a fire several years ago. I would like to make it over to the IHS Library to get a photocopy of theirs (if, in fact, they still will photocopy it — it seems as though it might be getting into fairly delicate condition by now), but I haven’t had the time to do so. Anything you could possibly do to help me relive this memory from my past would be greatly appreciated. Please feel free to email me if you have any questions or comments. I scanned the tour brochure and uploaded it to the Historic Indianapolis website. The brochure was printed on 11″ x 17″ paper and then folded first in half and then in thirds, so you will need to rotate it to view the various sections right-side up.